Voodoo all the way Chris! I have got the cost of the vinyl to around £130 for 15 metres, not the 3M stuff but I am also hearing the 3M quality has gone downhill, its cheap enough to make a few mistakes. Also I don't have a roof to wrap so joining will not be an issue there and less material required. Tools have cost around £30 for everything I should need, this includes masking tape and knifeless tape for any joins/inlays that are required. I have heated up the sample and it seems to be fine, stretches OK and shrinks back fine, although when I stuck it on cold and ripped it off, it tore but it was freezing cold outside and I'll be doing it in a warm garage. I guess most of the cost is the labour charge to do it, my time is free so it's just the cost of the parts. I got a quote of £1800 to do it professionally and I have seen the 3M vinyl being sold for almost £800 to buy but this vinyl I'm going to use seems as good as anything I have used before. The only two issues I see are the fan fins in the rear pop up spoiler and the front bumper vents area, although with a bit of patience I may be able to do the bumper in one piece, an inlay in the bumper will be almost invisible though. I will remove the doors as this will make wrapping the inner (not usually visible with door closed) parts easier to do. I will also be removing both bumpers and the engine cover and doing them off the car. I'm looking forward to seeing this. Kudos for doing it yourself. Another vote for the darker one. I love the light colours like Riviera, Mint green and even Rubystone but they look a bit odd on 996s. That darker blue looks spot on. I sort of wish I'd gone for a wrap now, as I've paid for a respray and it's peppered with chips after 1400 miles, so I now have to sort the front bumper again then pay for PPF. It's never ending. A wrap is definitely a great option for a car you want to use and enjoy. Good luck with it. I’m inclined to suggest Speed Yellow if only to wind up the Jackal! Everyone has agreed on the darker blue but also overlooked the fact you said orange 944. That'll be a new instalment in the 944 thread at some point if it goes ahead. I'm also looking at practicing on my 944 as this would look good in Orange I'm thinking. (1) Won't that clash terribly with your lid? 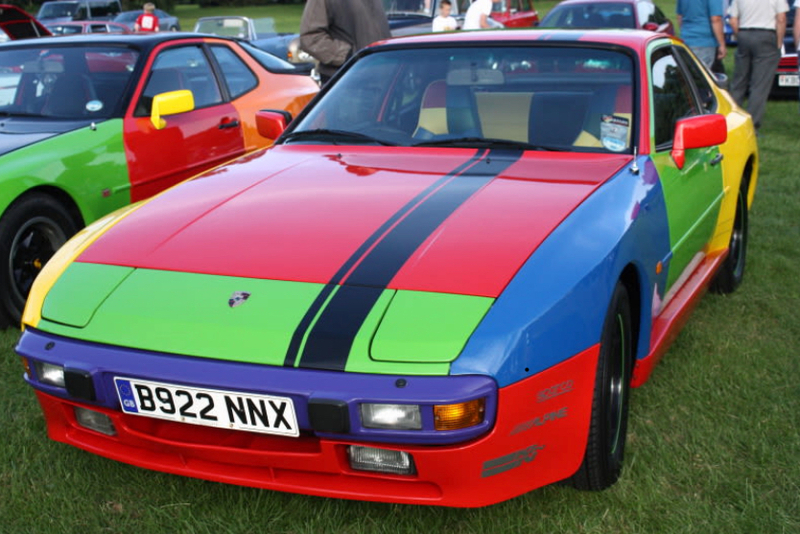 (2) You say "my 944" ........... What does the other regular driver of the car think of the idea? Did you want to PM me some photos of your car and the wraps and I'll put them through photoshop for you to see the result 'on-car'? My lid is Cadiz Orange and is the exact colour of a previous car and I'll be getting as close to that shade of Orange as possible. That would be cool, this is the most recent side on shot, I'll leave this pic here for comparison too, although its a little dirty, is it fine for you to use or would you need one emailing? Just go ahead with the two blues I have trialed, stick a Guards Red and Speed Yellow one up when you get time, or any others you think look good, even try a Viper Green? ps, I've also been toying with wheel colour, Gold (Weiss maybe) and light Silver. 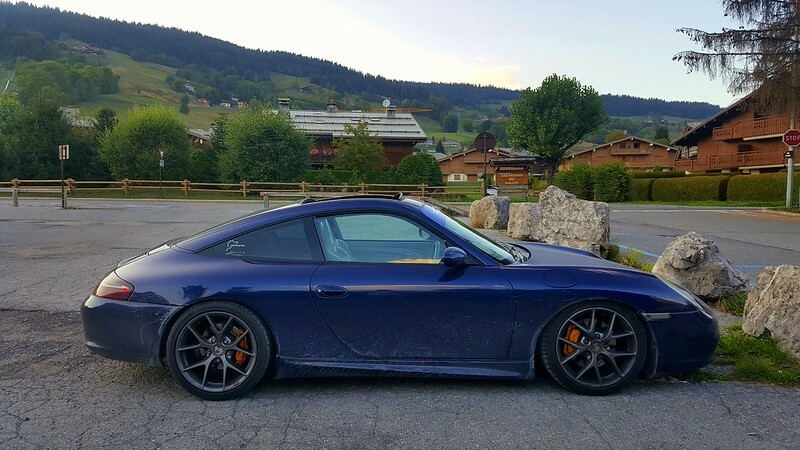 I would really love to wrap my 996 in a "camo" wrap like manufacturers use for test mules... but i cannot find it anywhere! any ideas? I've seen the pixalated (digital) camo wraps for sale which are similar and a better look than the actual camo wraps. The one that obviously doesn't read this forum.